She is believed to have been born in the late 1870s and died in 1957. Her mother was called “Snappy,” and she taught her daughter how to weave baskets. Nettie lived her life in the Orleans area and had no children of her own although she had a step-daughter, Louisa, from her marriage with Frank Ruben. While she could speak broken English, she preferred to speak Karuk. 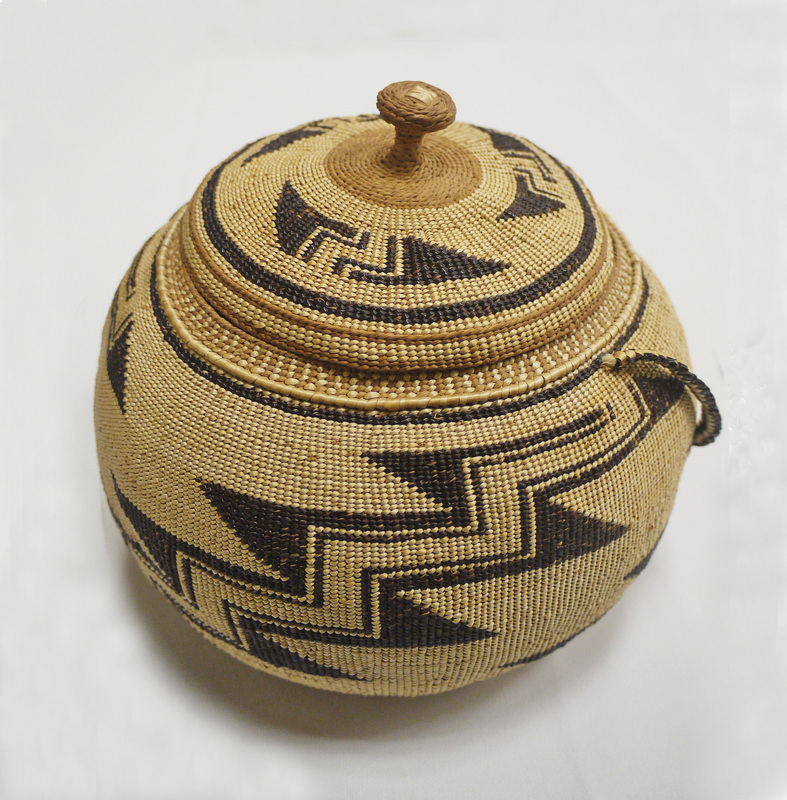 She rarely, if ever, sold baskets to dealers, instead selling them directly to both white and Indian collectors from her home. Nettie also did crocheting, made clothes, arrows, and paper flowers. She made everything by hand, never using a sewing machine. Unfortunately, none of her crocheting or sewing has been located. She was also a great storyteller. Nettie Ruben’s work is amazing in spanning the whole range of basket types. 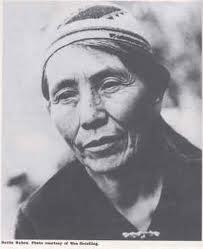 Moreover she was undoubtedly the most innovative of Karuk basket weavers. Hopefully this exhibition and catalog reveals that the beauty of her baskets and her innovations place her at the pinnacle of Northwest California basket weaving. This exhibit is both a tribute to the great basket weaver and the culture she represents.